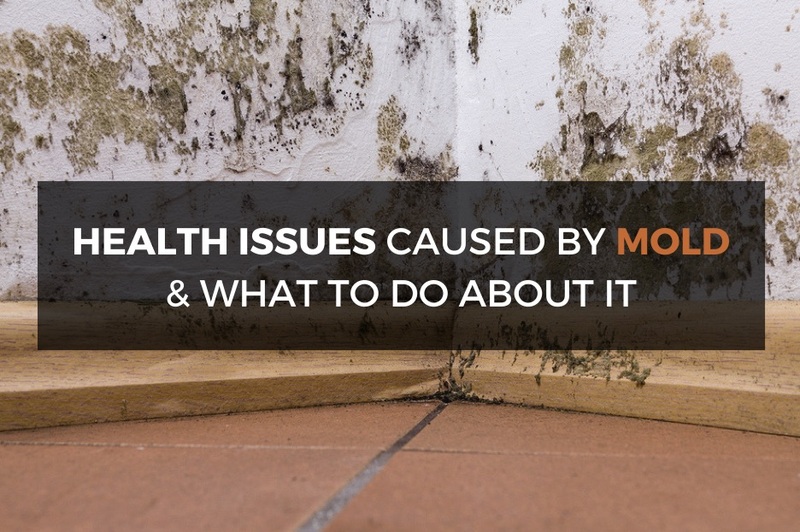 The recent flooding in Texas has created the perfect warm, damp environment for mold to grow out of control and flourish. Mold is a fungus that can be found both indoors and outdoors, and can start to grow on a damp surface within 24 to 48 hours. It produces spores that travel through the air. It can even survive dry conditions that do not support normal mold growth. You don’t want to take exposure to mold lightly because it can cause some very serious health conditions. • Respiratory problems – wheezing, asthma attacks, etc. *If you start to notice new respiratory or allergy symptoms over time, be sure to see a doctor as this could be due to the mold, even after you have cleaned it out of your home. *If you experience severe symptoms of any kind, please call 911 immediately to get emergency help. More serious health problems have been associated with the toxic black mold, Stachybotrys atra. The mold is greenish-black and slimy, resembling tar or black paint. It typically grows only on repeatedly wetted materials that contain cellulose – from paper to ceiling tiles, and any kind of wood. Black mold is commonly caused by leaks inside walls, under floors or above ceilings. Since black mold has the potential to cause severe health problems and can even be deadly, please use the assistance of a professional who is experienced in dealing with black mold. Disturbing black mold causes it to release a large amount of toxic spores. • Wear protective gear: rain boots, rubber gloves, face mask or respirator mask when entering a flooded home. • Avoid even very short exposure to mold without a face mask since you can breathe in the unseen mold spores from the air. • Exercise caution in cleaning and disinfecting molds because they release mold spores when disturbed. 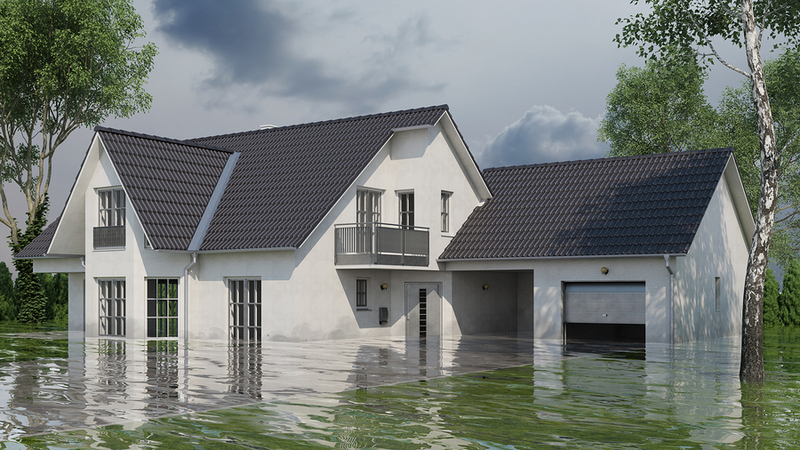 • Keep in mind that the flood water can also contain sewage filled with bacteria and toxins. • Clean up your home and dry out quickly within 24 to 48 hours. For your safety, use a professional mold removing company. • Leave windows open to help dry it out and improve ventilation. • “When in doubt, throw it out!” Remove all items that have been wet more than 48 hours and cannot be thoroughly cleaned and dried. • Fix any water problems, such as leaks in roofs, walls and plumbing. Mold is especially dangerous for people with breathing problems caused by allergies or asthma, so be sure to protect yourself. Mold can cause irritation and damage to the respiratory tract. At Hotze Health & Wellness Center, we believe in solving the underlying cause of allergy symptoms. Sublingual allergy drops, or drops taken under the tongue, are a safe, effective and convenient allergy desensitization treatment. By building up good blocking antibodies to the allergens to which you react, you can desensitize your immune system to those substances and actually block the allergy reaction. This allergy treatment is similar to an immunization, and desensitizes you to the allergens. Instead of driving to the doctor’s office for weekly allergy shots, you can simply put a few drops under your tongue in the comfort of your home. At Hotze Health & Wellness Center, we believe that instead of masking your allergy symptoms with pharmaceutical drugs, you should correct the underlying cause by strengthening your immune system. We have been successfully treating our guests with allergy drops for decades. Contact a wellness consultant today for a complimentary wellness consultation at 281-698-8698. Let us help you conquer your allergies for good!